Ever been to a major Hollywood movie premiere? Neither had we – until recently. 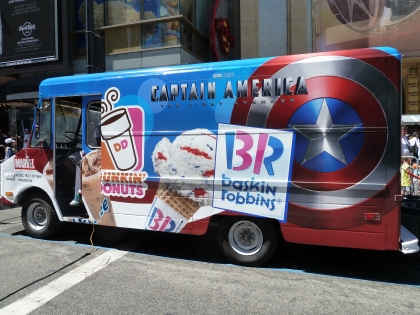 As part of Dunkin’ Donuts and Baskin-Robbins’ partnership with Captain America: The First Avenger, we were invited to Los Angeles to help keep the red, white and blue carpet running. Between rubbing elbows with celebrities, to handing out thousands of samples, and watching Captain America: The First Avenger in 3-D, we savored every moment of our HollywooDD experience! The red, white and blue carpet before the premiere. How Many People Does It Take To Keep A HollywooDD Premiere Running? More than we can count! It all started when we arrived outside of the El Capitan Theater four hours before the premiere on a sunny, incredibly hot 95-degree day. Used to the glitz and glamour typically seen on TV, we watched in awe as a many hardworking people transformed the entrance to the theater into an elaborate premiere setting. The vibrant red, white and blue carpet had already been laid out, so the crew was setting up the impressive Dunkin’ Donuts and Baskin-Robbins branded step and repeat banner (the backdrop that the celebs pose in front of). They were also hoisting a gigantic Captain America shield into an upright position, with the help of a massive construction vehicle (of course!). 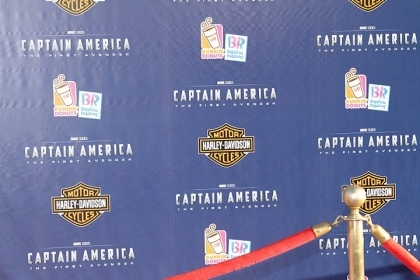 The Dunkin' Donuts and Baskin-Robbins on the Captain America step and repeat backdrop. At 5:30 p.m. PST, excitement was brewing as attendees started arriving at the premiere. With the Dunkin’ Donuts and Baskin-Robbins sampling truck parked in prime position to serve the throngs of fans, cheers and waving hands erupted from the crowd at the first sight of the Baskin-Robbins’ new Mini Cones with Super-Soldier Swirl, vanilla ice cream swirled with a combo of blue chocolate chips and a cherry flavored ribbon. Equally exciting to the fans? The opportunity to snag mini pouches of Original Blend DD Coffee to brew at home, plus limiteDD edition First-Avenger Tri-Cups, and more! The Dunkin' Donuts and Baskin-Robbins sampling truck. 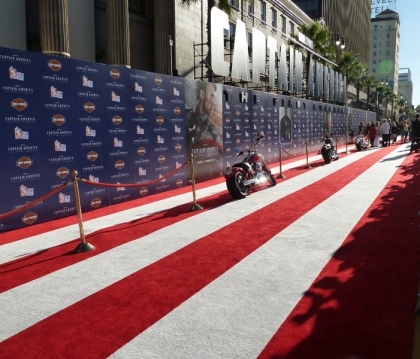 About an hour later, the red, white and blue carpet was the star of the show as celebrities started to make their grand entrance. 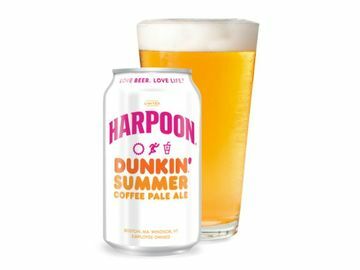 While reporters and camera crews clamored for celebrity interviews, our intrepid reporters did their best to share tidbits from the premiere on the Dunkin’ Donuts and Baskin-Robbins Twitter and Facebook pages. The media and crowd frenzy at the premiere! So, what scoop did we get? 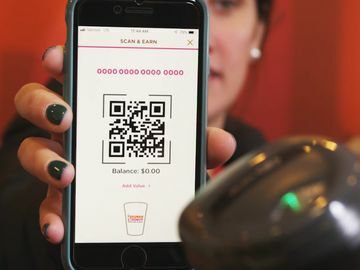 The highlight of our evening was when Chris Evans – Captain America himself – stopped by to tell us that the thing he looks forward to the most when returning to his hometown of Boston is a Chocolate Frosted Donut from Dunkin’ Donuts. We coulDDn’t write the script better ourselves! More highlights? Seeing former Dunkin’ Donuts crewmember turned superstar entertainment correspondent for Access Hollywood, Maria Menounos in a stylish red, white and blue ensemble. 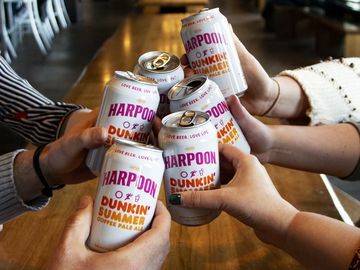 Upon cheers from our Boston-based team, Maria promptly popped over and said expressed how much she loves Dunkin’. We also excitedly looked on as the charismatic Robert Downey Jr. played to crowd and the dozens of photographers like a true pro. 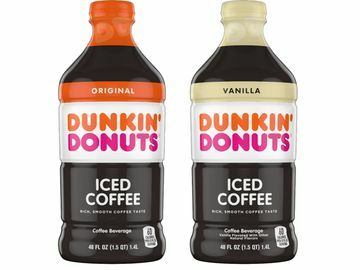 Former Dunkin' Donuts crew member Maria Menounos was one of our favorites at the premiere! And not just because she graciously came to speak with us! 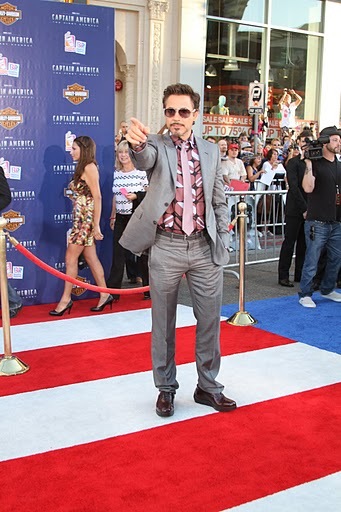 Robert Downey Jr. is a man of many talents, one of which is striking a pose on the red, white and blue carpet. Our photographer snapped so many great ones of him in various poses, it was harDD to pick which one to share! Other close encounters of the celebrity kinDD? Stars of Captain America: First Avenger, including Hayley Atwell, Samuel L. Jackson, Sebastian Stan and Natalie Dormer. Natalie, who plays Private Lorraine in Captain America, was especially sweet to our colleague’s daughter Ilyssa, when she said (with a big smile), "I used to have braces, too!" We were also thrilled to catch a glimpse of Vanessa Hudgens, Zoe Saldana, Jesse Metcalfe, and more! Actress Zoe Saldana from Avatar was picture perfect. 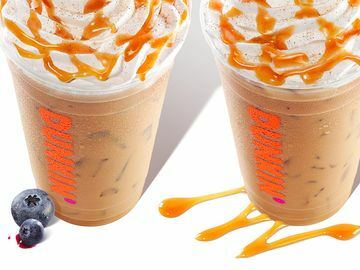 As if the red, white and blue carpet show wasn’t enough, the Dunkin’ Donuts and Baskin-Robbins teams also got to be among the first people to see Captain America: First Avenger in 3-D. How was it? One word: amazing! To see all of our photos from the Captain America: The First Avenger movie premiere, click here.